• The Bob Woodruff Foundation hosted a conference where the main focus was getting veterans who have been left behind back into the workforce. Many CEOs chimed in with their innovative ideas for re-integration. • What is philanthropy’s role in helping veterans re-enter work life? What support systems are already in place and are they effective? • Read about how to support our veterans through the arts. The San Francisco Bay Area not only represents the leading edge of the tech industry,but is also a market that increasingly understands and embraces the idea that hiring veterans goes well beyond “thanks” or patriotism — it gives companies a competitive advantage. This panel discussion examined the interplay between these sectors and offered insight into how leading companies and communities can engage transitioning veterans. Seeking those opportunities are roughly 250,000 service members reentering the civilian workforce each year, according to Dempsey. Embracing veterans has also become a priority for Salesforce, according to Weeby, an Iraq War veteran who leads the company’s military initiative as director of Workforce Innovation and head of VetForce. The answer she proposed might lie within what she called the “curb cut effect,” offering the example of how installing curb cuts in sidewalks for the benefit of those with disabilities, has helped mothers pushing strollers or workers pushing carts. This approach “solves problems for those who are most vulnerable with specificity and determination,” which in turn creates benefits for everyone. The GI Bill, she said, is a great example of this. 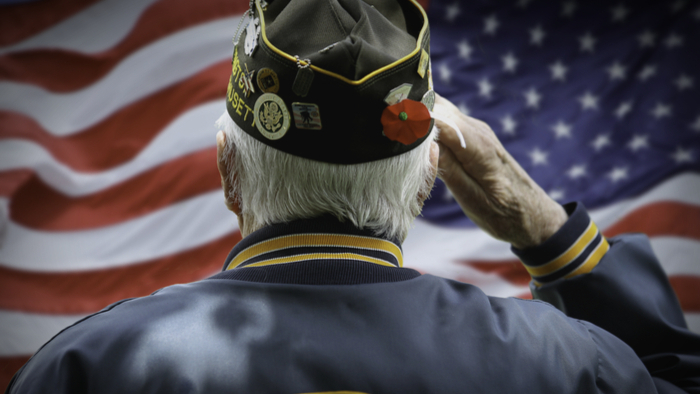 Read the full article about veterans in the workforce from Bob Woodruff Foundation at Medium.